One of 132 vacant home sites that are currently listed for sale in the Teton Board of Realtors’ MLS. Property ID: B9C7JY at jhsir.com. 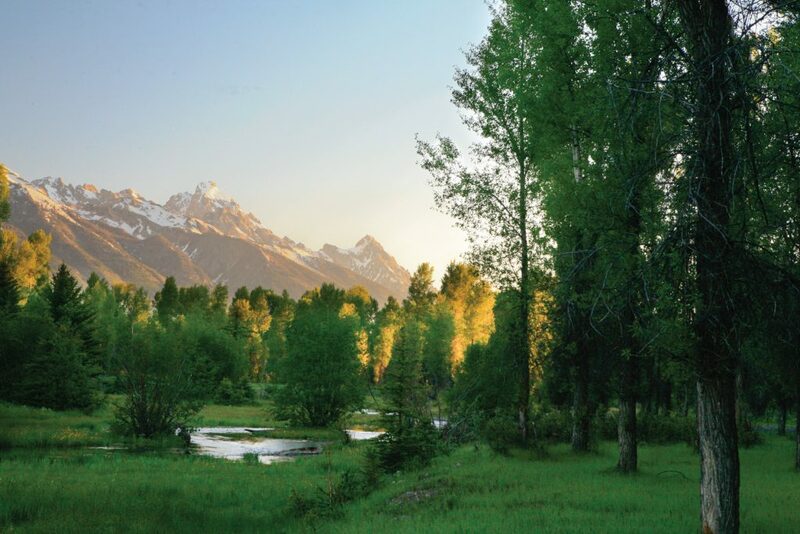 Ask a local about the benefits of living in Jackson Hole and they’ll probably mention the rustic-yet-refined cultural environment, Wyoming’s tax-friendly climate, and the proximity to the year-round recreational lifestyle afforded by Grand Teton and Yellowstone National Parks. The nearby National Parks and contiguous National Forests comprise nearly 2.6 million acres of federally managed land in Teton County. Yellowstone was formed in 1872. The Bridger-Teton National Forest was created in 1908, with Grand Teton National Park following in 1929. These are not new neighbors to the Jackson Town Square or the Jackson Hole Mountain Resort. And, again, ask a local about the regional real estate market, and you’ll hear that only three percent of the land in Jackson Hole can ever be developed. Most locals, however, would also be wrong. If you look more closely at the forces at work on 2,698,240 acres in Teton County, more than 97 percent is some form of federally managed land (national parks, national forests, the National Elk Refuge, Wyoming Game and Fish, and BLM). 4. 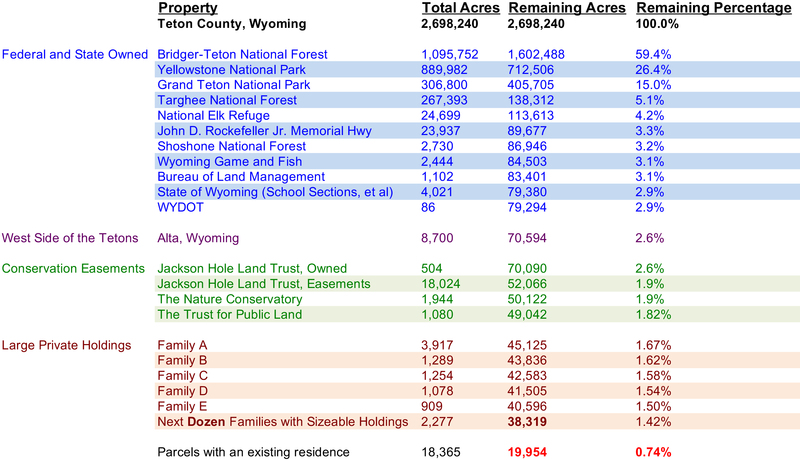 Whatever is left over… or about 0.74% of all the privately held land in Teton County. For the less than 1% that remains, this acreage is spread out across only about 1,700 deeds. In most cases, current land development regulations also prevent any further subdivision of these parcels. Upon even closer inspection of these deeds, many are common areas of existing developments or other parcels not open to development. While it’s not uncommon in 2018 for someone to raze an existing home and start from scratch, the scarcity of vacant land in Jackson Hole is one of the key forces at work in the regional real estate market. At present, 132 vacant home sites are currently listed for sale in the Teton Board of Realtors’ MLS with prices ranging from $295,000 (for a 1.27-acre parcel in Moran) to $17.9MM (for 72 acres bordering the Snake River north of town). Few places is this more true than Jackson Hole.